Nine West Widlyn Pump. Approximately 2 inch Heel. Leather Upper. Man Made Lining. Buckle on Front of Shoe. 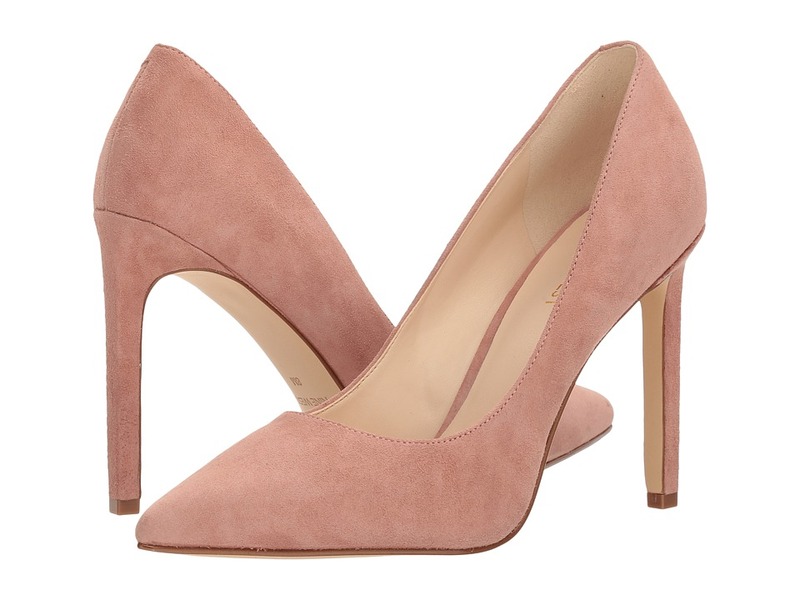 Enjoy these beautiful Widlyn pumps by Nine West. 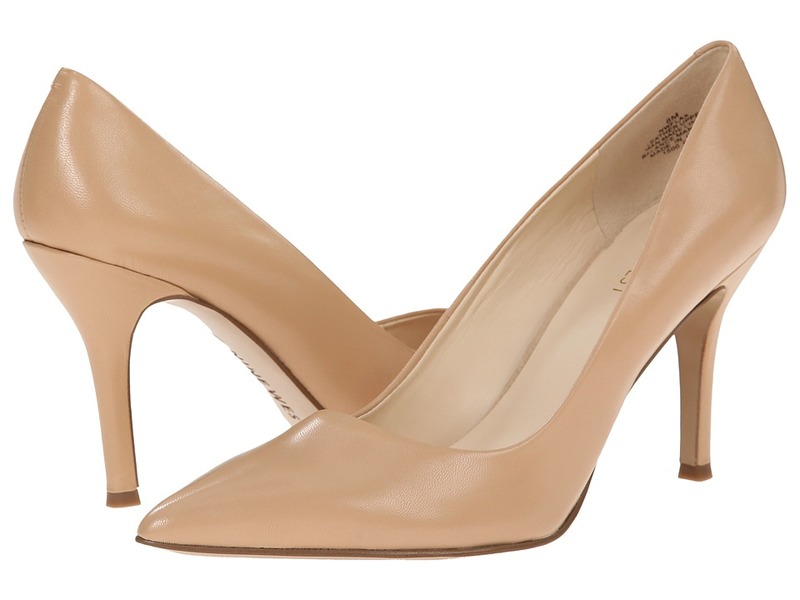 The Nine West Xanthos Dress Shoes feature a Leather upper with a Pointed Toe. 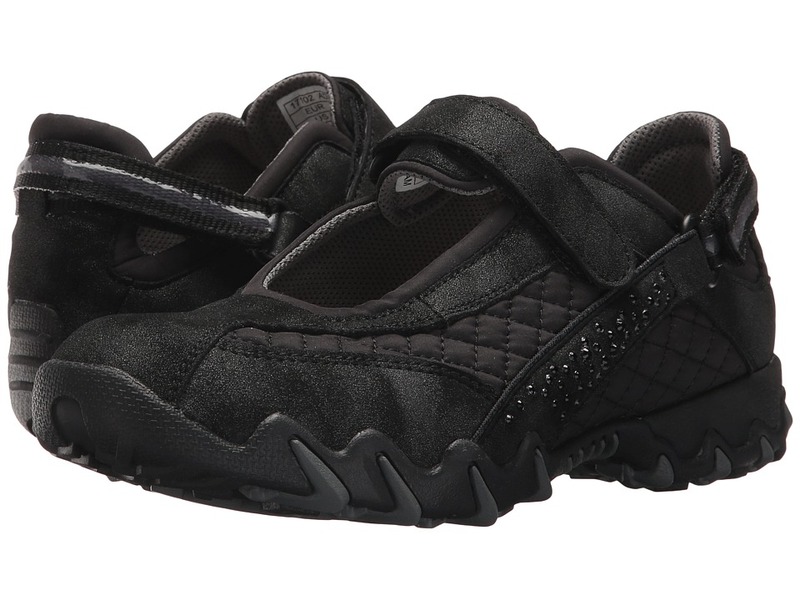 The Man-Made outsole lends lasting traction and wear Synthetic Leather Upper. Synthetic Detail. Approximately 2 inch Heel. Delicate lacing captivates on this feminine, Western-style bootie. Full-grain leather and suede. Microfiber lining. Rubber outsole. Leawood-wrapped heel. Tucker board with steel shank. Opanka hand-crafted construction. Heel Height: 1 1/2 inch. Rope ~em in and ride ~em down in these rough and ready boots that~ll keep those cocky cowboys in check! 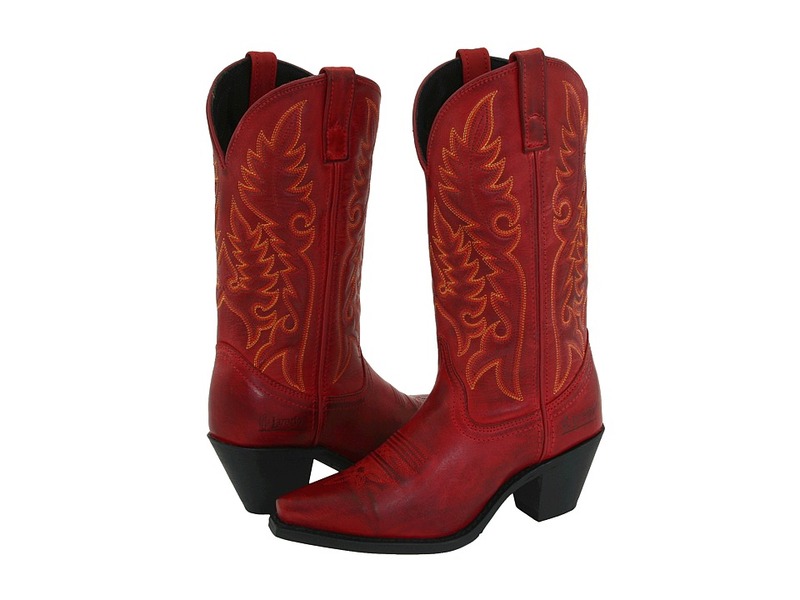 Leather shaft with an elegant stitching design for authentic Western style. Pull tabs on side for an easy on and off. Cushioned footbed offers all day comfort on the ranch, trail, or the city streets. Extra lift in the heel creates a distinctly feminine silhouette. Rubber outsole for dependable and durable use. Measurements: Heel Height: 2 1 2 in Weight: 1 lb 2 oz Circumference: 14 in Shaft: 11 1 2 in Product measurements were taken using size 6, width B - Medium. Please note that measurements may vary by size. Weight of footwear is based on a single item, not a pair. 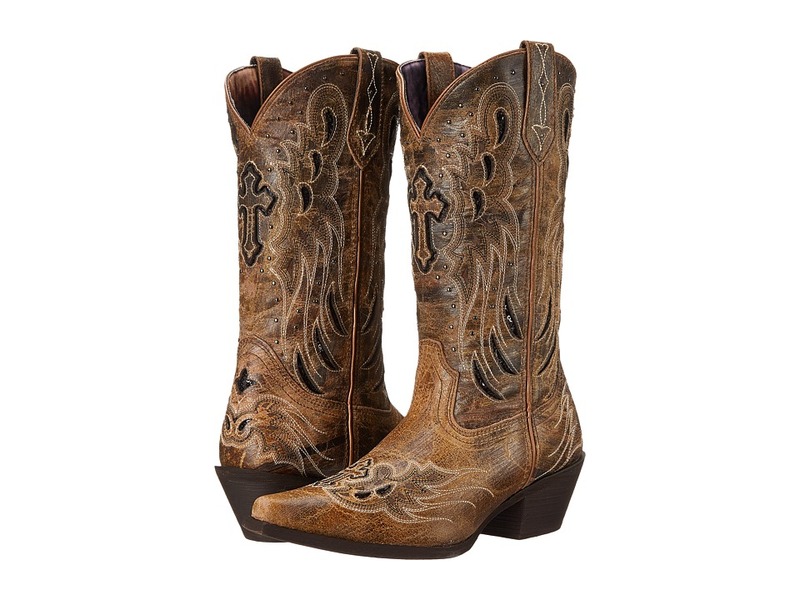 Showcase your true western style with every step you take in the feminine boot by Old Gringo&amp#174. Luxurious leather upper with beautiful floral embroidery. Classic pull-on design. Smooth leather lining. Durable leather outsole. Old Gringo boots go through a 130 step handmade production process. Old Gringo also develops and tans its own leathers and textures to make sure the end result is a superior quality product. Measurements: Heel Height: 1 1 2 in Weight: 1 lb 6 oz Circumference: 13 1 2 in Shaft: 13 in Product measurements were taken using size 7, width B - Medium. Please note that measurements may vary by size. Weight of footwear is based on a single item, not a pair. Put a sleek spin on your Monday morning look when you add these dashing heels to your wardrobe! Please note: this is the former version of the Fifth9x9 pump. The updated design can be found on SKU# 8947242. Available in a variety of different uppers including synthetic and leather materials. Easy slip-on wear. Pointed toe adds a touch of sophistication. Man-made lining. Lightly cushioned man-made footbed. Wrapped stiletto heel. Man-made sole. Imported. Measurements: Heel Height: 3 1 2 in Weight: 7 oz Product measurements were taken using size 7.5, width M. Please note that measurements may vary by size. Weight of footwear is based on a single item, not a pair. 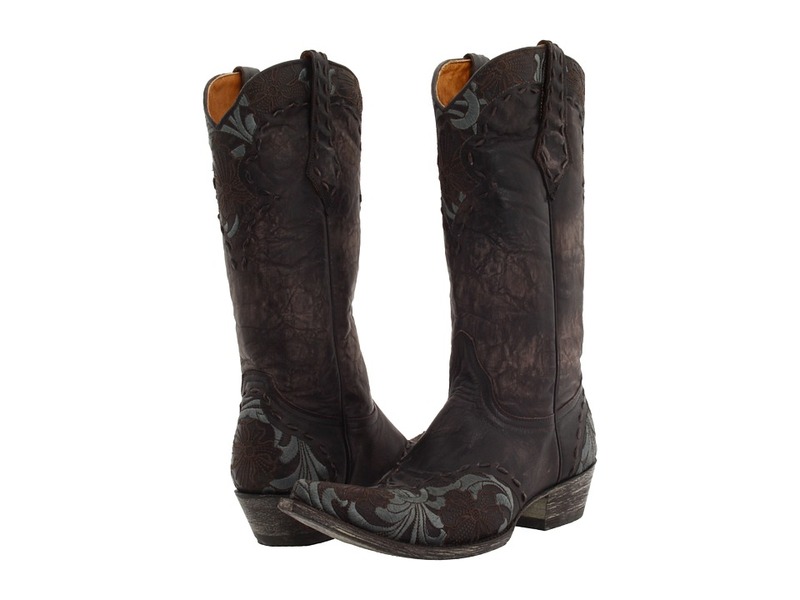 Be the epitome of feminine Western fashion when you wear the Floral Embroidered Shoe Boot by Roper. Synthetic leather with light distressing. Side zipper allows for easy on and off. Features beautiful floral embroidery design on vamp. Man-made lining. Padded footbed for all-day comfort. Durable rubber outsole. Measurements: Heel Height: 2 1 2 in Weight: 11 oz Product measurements were taken using size 7.5, width B - Medium. Please note that measurements may vary by size. Weight of footwear is based on a single item, not a pair. Sporty with just the right amount of feminine flair, these Allrounder by Mephisto&amp#174 mary janes are sure to be your newest go-to look. Leather upper with quilted detailing and sparkling rhinestone embellishment at the side. Hook-and-loop closure allows for a secure fit with plenty of adjustability. Removable anatomical footbed is cushioned, reducing nearly all shocks from the impact of walking. Innovative ACTIVE SUSPENSION shock absorber system ensures effective shock absorption, protecting the joints, vertebra and spine from damaging jolts and vibrations. Rubber GRIP Profile outsole. Imported. Measurements: Heel Height: 1 2 in Weight: 9 oz Product measurements were taken using size 37.5 (US Women~s 7.5), width M (B). Please note that measurements may vary by size. Weight of footwear is based on a single item, not a pair. 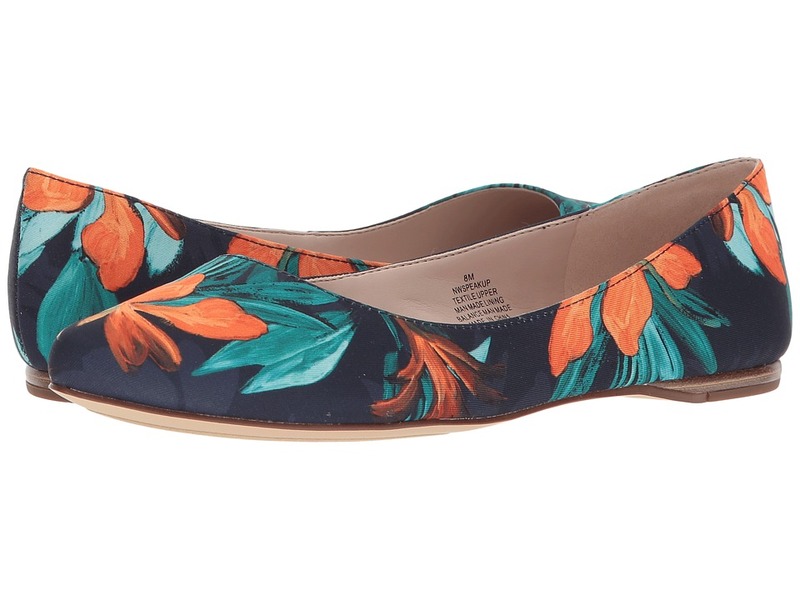 The Nine West SpeakUp flats are a perfect fall staple! Available in a variety of uppers. Easy slip-on wear. Man-made lining. Lightly cushioned man-made footbed. Man-made sole. Imported. Measurements: Weight: 5 oz Product measurements were taken using size 8, width M. Please note that measurements may vary by size. Weight of footwear is based on a single item, not a pair. If you loved the Nine West Austin you are going to love the Margot! 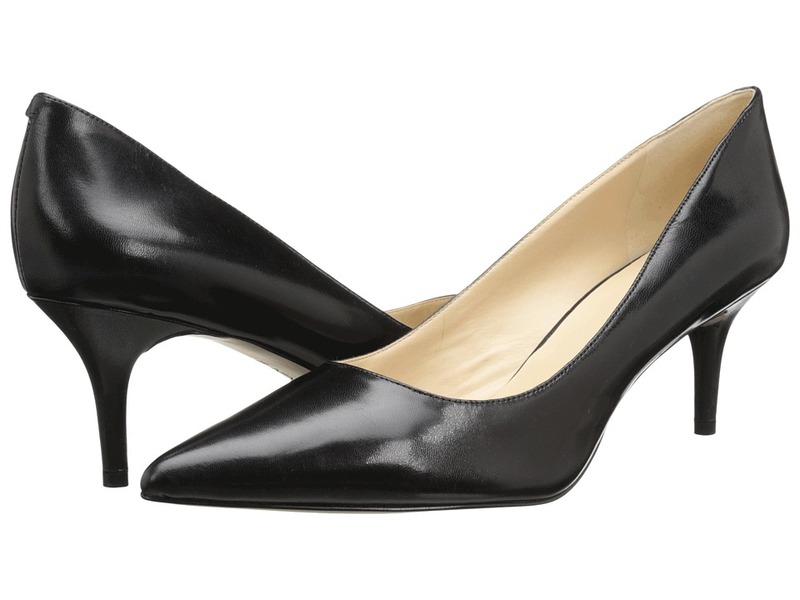 These sleek pumps are perfect for any occasion! Easy slip-on wear. Available in a variety of uppers. Pointed toe. Man-made lining. Lightly cushioned man-made footbed. Wrapped heel. Man-made sole. Imported. Measurements: Heel Height: 2 1 2 in Weight: 9 oz Product measurements were taken using size 10, width M. Please note that measurements may vary by size. Weight of footwear is based on a single item, not a pair. The posh Nine West Tatiana pumps are sure to get you noticed in all the right ways! Easy slip-on wear. Available in a variety of uppers. Pointed toe. Man-made lining. Lightly cushioned man-made footbed. Wrapped heel. Man-made sole. Imported. Measurements: Heel Height: 4 in Weight: 8 oz Product measurements were taken using size 9, width M. Please note that measurements may vary by size. Weight of footwear is based on a single item, not a pair. 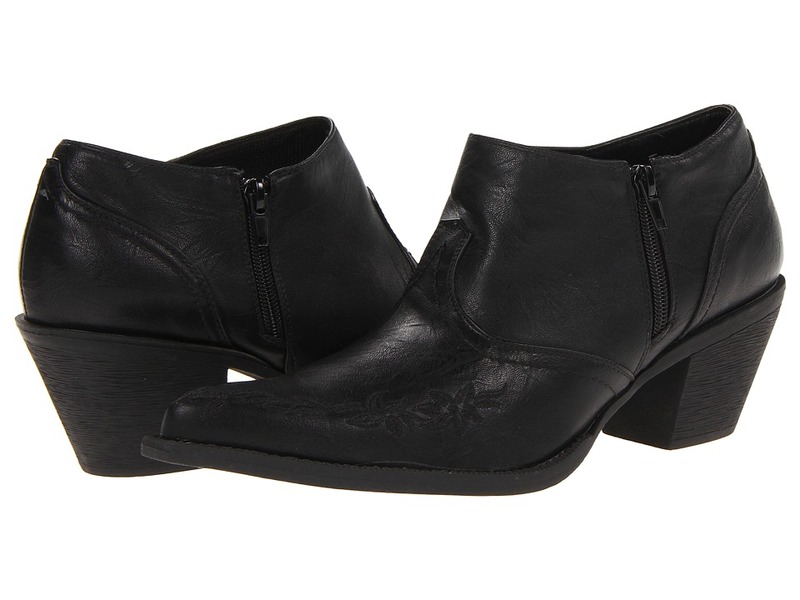 The Klak boot from Old Gringo offers a beautifully feminine twist to a traditional leather boot. Supple leather upper with embroidered floral details. Smooth leather lining offers an incredibly comfortable next-to-skin feel. Cushioned leather insole for all-day comfort. Scoured leather and rubber outsole. Old Gringo&amp#174 boots go through a 130-step handmade production process. Old Gringo&amp#174 also develops and tans its own leathers and textures to make sure the end result is a super high quality product. Imported. Measurements: Heel Height: 1 1 2 in Weight: 1 lb 9 oz Circumference: 13 in Shaft: 9 1 2 in Product measurements were taken using size 8, width B - Medium. Please note that measurements may vary by size. Weight of footwear is based on a single item, not a pair. 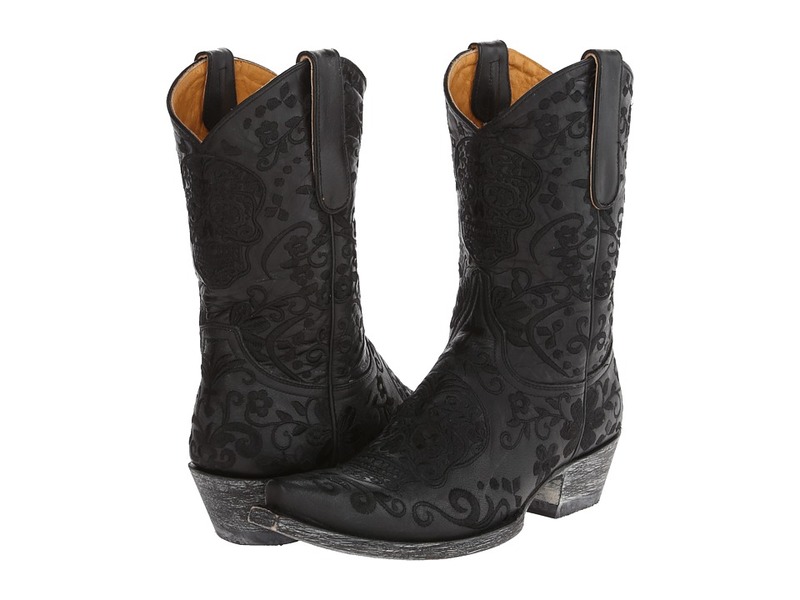 Kick up your heels with the stylish Western look of the Laredo Crosswing boot! Taupe goat leather upper boasts beautiful stitching and stud embellishments. Features cross leather overlays and cutout design with sequin underlays. Pull tabs on side for an easy on and off. Snip toe design. Cushioned footbed offers all day comfort on the ranch, trail, or the city streets. Extra lift in the heel creates a distinctly feminine silhouette. Composition outsole with cowboy heel. Imported. Measurements: Heel Height: 2 in Weight: 1 lb 3 oz Circumference: 14 in Shaft: 12 in Product measurements were taken using size 7.5, width B - Medium. Please note that measurements may vary by size. Weight of footwear is based on a single item, not a pair. The chic Nine West Jazz sandals offer timeless style and endless versatility. Leather upper. Buckle closure. Open toe. Man-made lining. Lightly padded footbed. Man-made sole. Imported. Measurements: Heel Height: 3 in Weight: 7 oz Shaft: 4 in Product measurements were taken using size 9, width M. Please note that measurements may vary by size. Weight of footwear is based on a single item, not a pair. 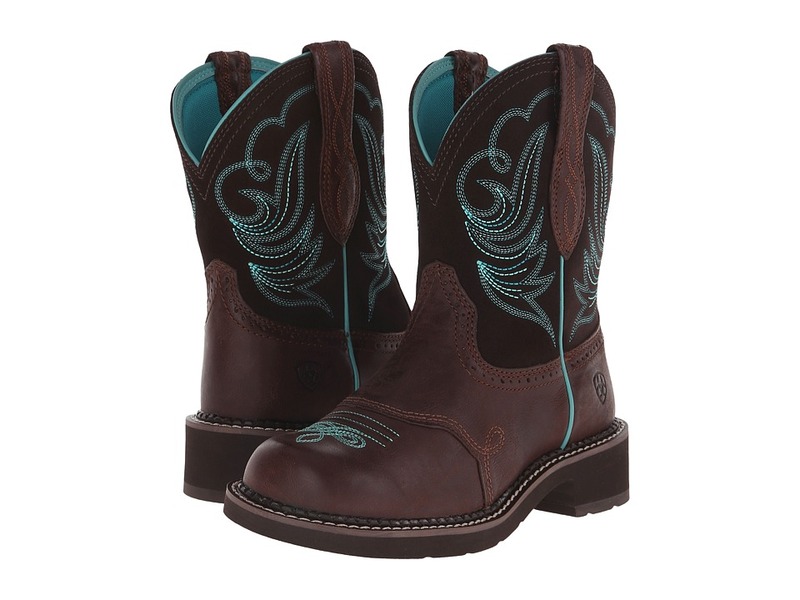 Fashion and performance make the perfect combination in the Ariat Fatbaby Heritage Dapper boot! Leather performance boot is approved for riding. Boot made of leather foot and suede shaft. Pull-on boot design with sturdy side pull loops. Features five-row stitch pattern for a uniquely feminine style. Single-stitched welt construction. Breathable textile lining. Features 4LR technology that provides support and cushioning with a four-layer footbed and lightweight stabilizing shank for support. Roper round toe. Everlon combination EVA and blown rubber outsole offers excellent durability and flexibility. Imported. Measurements: Heel Height: 1 1 2 in Weight: 1 lb 1 oz Circumference: 13 in Shaft: 8 in Platform Height: 1 in Product measurements were taken using size 8, width B - Medium. Please note that measurements may vary by size. Weight of footwear is based on a single item, not a pair. You~re a supreme diva with a professional appeal when stepping out in these Nine West Kristal. If you liked the Nine West Rocha you~re going to love the new Kristal. Easy slip on. Available in a variety of uppers. Pointed toe with platform heels. Man made lining. Lightly cushioned footbed. Wrapped heel. Man made sole. Imported. Measurements: Heel Height: 4 in Weight: 10 oz Platform Height: 1 2 in Product measurements were taken using size 9, width M. Please note that measurements may vary by size. Weight of footwear is based on a single item, not a pair. The Old Gringo Mary Lou boot easily blends feminine detailing and traditional Western construction for the perfect modern look. 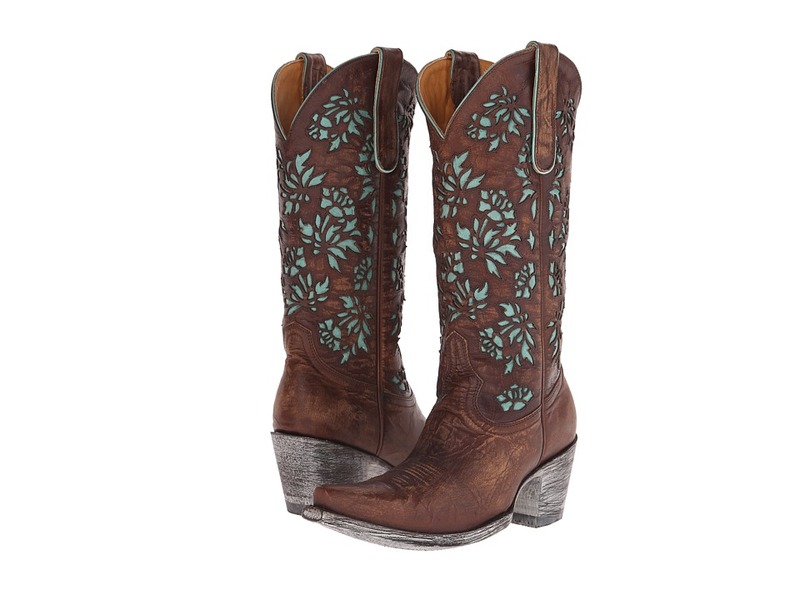 Lightly distressed leather upper with sturdy pull loops. Beautiful floral cut-out design with gorgeous leather underlay. Sturdy leather pull loops for easy entry. Soft leather lining offers an incredibly comfortable next-to-skin feel. Lightly cushioned leather footbed provides added comfort. Snip toe. Scoured heel and outsole for a more vintage appearance. Leather outsole with rubber heel tab for long-lasting wear and excellent traction. Imported. Measurements: Heel Height: 2 in Weight: 1 lb 6 oz Circumference: 14 in Shaft: 12 1 2 in Platform Height: 1 4 in Product measurements were taken using size 7.5, width B - Medium. Please note that measurements may vary by size. Weight of footwear is based on a single item, not a pair. 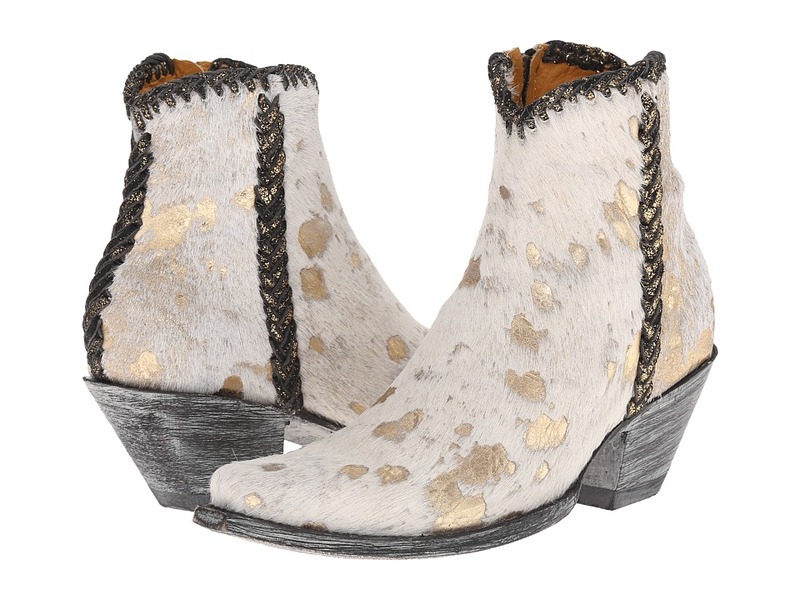 The Old Gringo Monica boot offers a true Western and very feminine style! Calf hair upper. Braided piping with metallic sheen on side, back, and collar. Side zip closure for easy on and off. Soft leather lining for added comfort. Lightly cushioned leather footbed for added comfort. Pointed toe. Scouring on heel and outsole for a vintage look. Long-lasting leather outsole with a rubber heel cap. Calf hair upper is from cow and has not been dyed or treated. Origin of animal: Mexico Old Gringo also develops and tans its own leathers and textures to make sure the end result is a super high quality product. Old Gringo boots go through a 130-step handmade production process. Imported. Measurements: Heel Height: 2 1 4 in Weight: 1 lb 9 oz Circumference: 9 in Shaft: 7 in Product measurements were taken using size 7.5, width B - Medium. Please note that measurements may vary by size. Weight of footwear is based on a single item, not a pair.